There are times when you need to create an interactive PDF document with hyperlinks and you do not want to pull out the big guns. 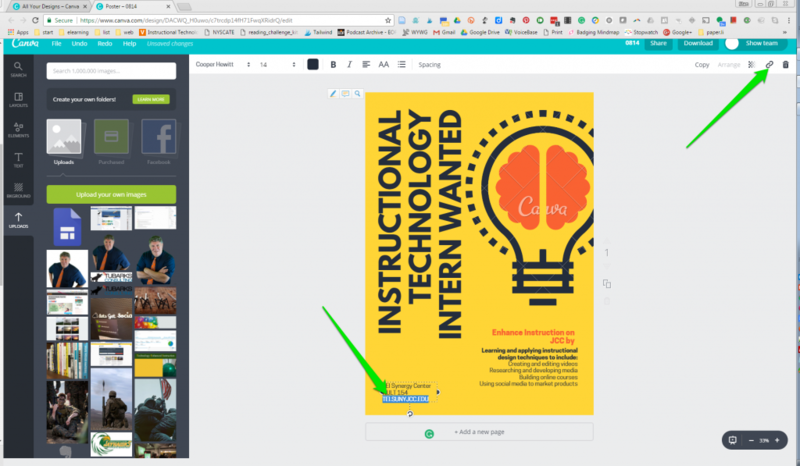 Fortunately, you can create hyperlinks in a PDF using Canva. Let me share this quick technology hack I learned from Leah MacVie at a recent workshop at Canisius College. Canva is a program primarily designed to create images; however, you can also save documents as a PDF file. Canva will recommend that you save your file as a PDF when you do include at least one link in it. In this example, I am using a poster I created with Canva. 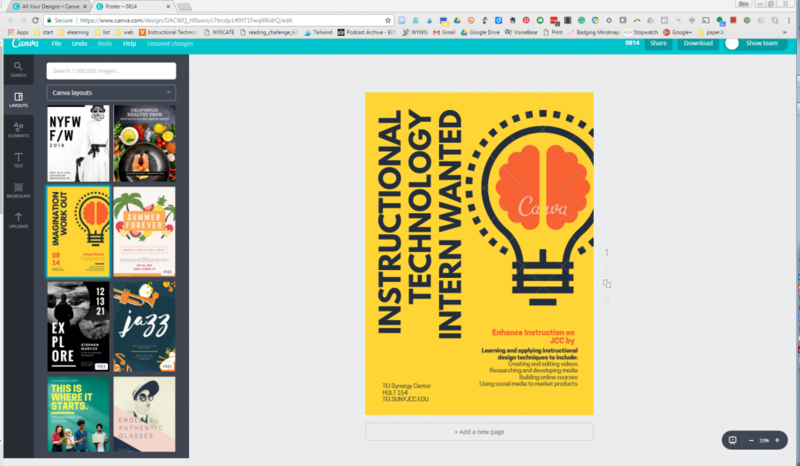 Canva will allow you to create countless other types of documents to include résumés, infographics, letterhead, social media images, book covers, etc. Simply select a document type and modify it to your needs. To create hyperlinks in a PDF, highlight the element where you want the link, select the link tool, and enter your target URL. It is important to note that the hyperlink is for the entire element. If you have multiple lines that you wish to have different links, you will have to create a separate element for each link. Change the File Type to PDF – Standard. Click on the Download button again to save your file. This is a quick and easy way to create some attractive documents that are also interactive. Naturally, if you have questions about this quick tip, please stop by the TEI Synergy Center or contact a member of the TEI team. What types of documents have you created using this hack or what types of documents will you be creating?